This panel addresses some challenges of publishing on Africa, in particular in terms of the visibility of African authors and their research. The convenors draw on the experiences of the journal Afrika Focus in its attempt to connect people through writing and create a space for alternative voices. The academic journal Afrika Focus (https://ojs.ugent.be/AF) has a 30-years track record of publishing on Africa, in particular by or in collaboration with African scholars. The journal is open access (though also published in hard copy)and free of charge, both for authors and for readers. The journal is branded in Africa, through workshops on academic writing and through free guest subscriptions for African universities. 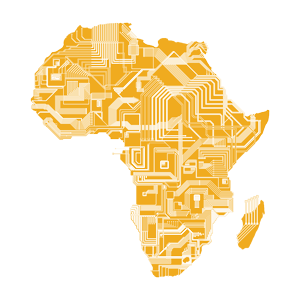 In essence, the journal is accessible to African researchers and it has a fair level of visibility on the African continent. Nevertheless, a few observations made on the occasion of its 30th anniversary special issue deserve a broader discussion: African scholars, and especially female academics, are still under-represented in international academic journals; African authors who do find their way into international publication channels come from a limited number of African countries; whereas francophone Africa is almost completely absent from the world of international academic publishing. In this panel, the experiences of Afrika Focus will be taken as a starting point to address some fundamental issues related to academic writing in a global context. We will identify some editors and publishers of academic journals (both from Africa and Europe) to discuss the issue of structural inequality in terms of academic knowledge production. We invite additional scholars to contribute to this roundtable, based on their own experiences. The ultimate objective is not to reiterate the problem, but to constructively discuss potential solutions and formulate concrete guidelines for scholars, editors and publishers in Africa and Europe.